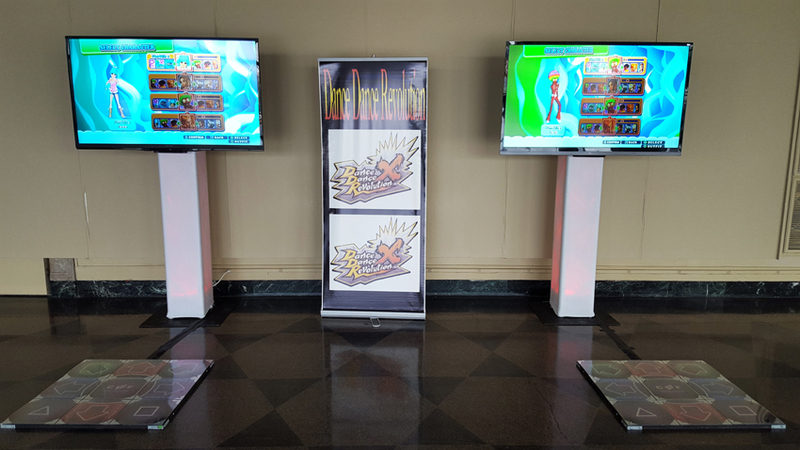 DDR is a fast paced game that allows you to dance to the beat of your favorite songs. This intense arcade game turns your whole body into a joystick. 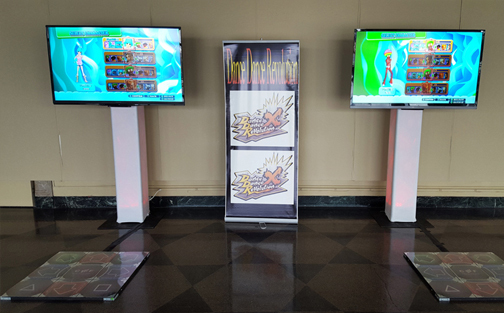 Challenge your friends or the computer on our dance pads to see who has the better rhythm. 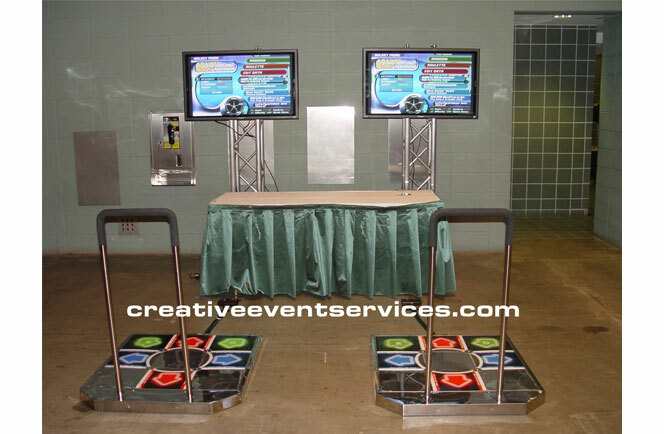 Our screens lead the way as you engage in a round of frantic dancing in order to score big.